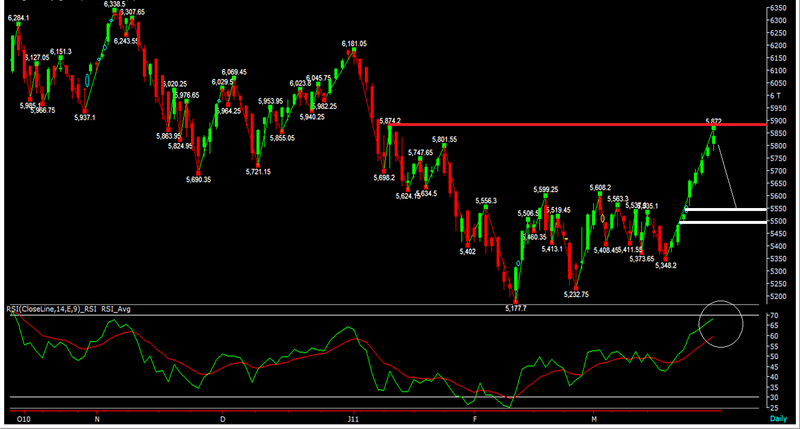 Nifty Daily Chart: Nifty resisted at 5875 levels yesterday, and as we expected there were wild swings due to FNO expiry. Looking at the chart, I feel that nifty will start moving down in a day or two and will try to fill the gaps formed during last week; before it resumes the move upward. 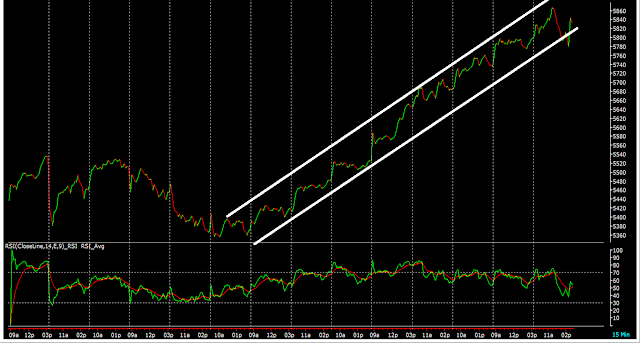 I feel nifty would make a move towards 5610. Nifty Intraday Chart: Nifty broke the positive trendline for the first time yesterday, however it turns back quickly to the trend channel. We need to wait and watch whether, a new negative trendline would be formed.